Facebook has responded to the New Zealand massacre livestream and insisted it removed the terrorist’s account as soon as possible. 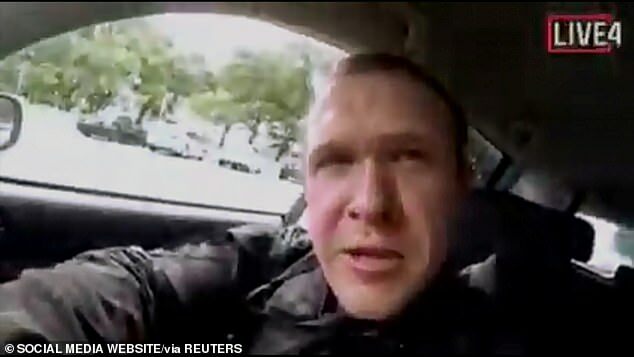 A man who identified himself as Brenton Tarrant, 28, used Facebook to broadcast his slaughter of 41 worshippers at the Al Noor Mosque, in Christchurch as Friday prayers were underway. New Zealand police alerted the social media giant to the livestream soon after it began, Facebook confirmed as they offered their condolences to the victims and their families. 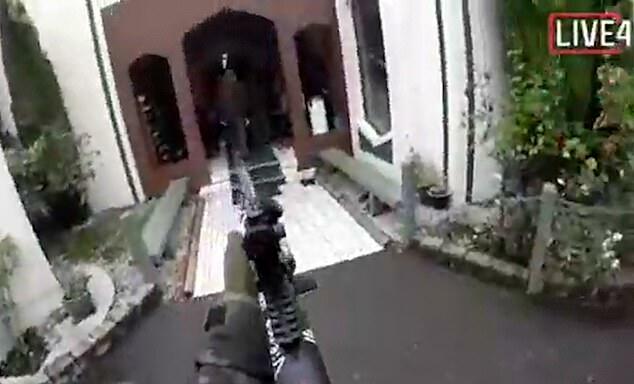 The footage shows the terrorist taking weaponry, including a semi-automatic shotgun and rifle, to the location before he gets out at the mosque to begin his sick rampage. ‘Our hearts go out to the victims, their families, and the community affected by this horrendous act,’ Facebook’s boss in Australia and New Zealand, Mia Garlick, said in an email seen by Business Insider. ‘New Zealand Police alerted us to a video on Facebook shortly after the livestream commenced, and we quickly removed both the shooter’s Facebook and Instagram accounts and the video,’ Ms Garlick added. The terrorist’s footage showed the weapons being placed in the boot of a silver vehicle and then being unloaded at the mosque. The suspected gunman posted a 73-page manifesto to Twitter before the killings, foreshadowing a ‘terrorist attack’. Witnesses reported hearing as many as 50 shots from his arsenal, which included a semi-automatic shotgun and a rifle at Mosque in Christchurch on the country’s South Island. The gunfire began at about 1.30pm as the Mosque was packed with devotees for its Friday prayer ceremonies. At about the same time, what appears to be a second shooter opened fire at at mosque in Linwood, which is within six miles of the first attack. Four suspects – who were not known to counter-terror authorities – are being questioned in custody. Of the 49 fatalities, 41 were killed at the Al Noor Mosque and seven at the Linwood Avenue mosque. Three were outside the mosque itself. At least 48 people were rushed to Christchurch Hospital with gunshot wounds, 20 in a critical condition. One victim has since died. One of the suspects was arrested while wearing a suicide vest, while a man wearing military fatigues was arrested outside Papanui High School.